Persistence is perhaps the most important reason of anyone’s success in life. 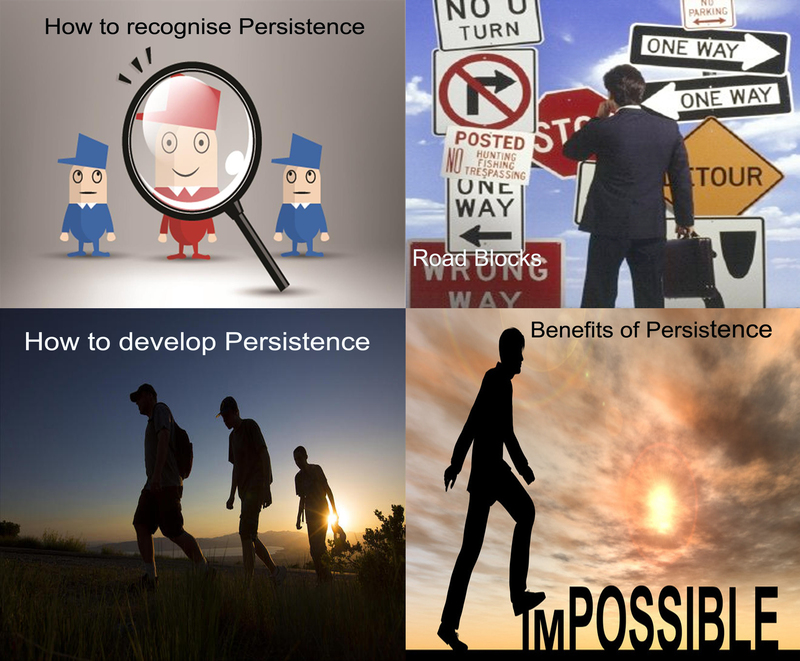 The 4 faces of persistence that I have chosen to discuss are: i) What is persistence? Its definition. ii) The road blocks or the difficulties faced for persistence. iii) How to develop persistence if it is not the part of your personality? iv) Last but not the least, how does persistence help you to achieve your goals? This discussion will contain examples of the leaders who are the shining stars in this respect. Let us deal with each of this 4 faces in detail. f) Ralph Waldo Emerson: “By persisting in your path, though you forfeit the little, you gain the great. i) We must specify our goals and they should be written down. The goals can be according to your priorities. The subject of our goals can be: health goals, career and financial goals, and family goals etc. You may add any other goal as per your liking. But, these should be time bound. These will inspire you to persist in your efforts for achieving these. This entry was posted in Personality development and tagged ability to understood, Dissemination of the knowledge, Important of persistence, Important of progress, Lack of patience, Meditation, Persistence, specify our goal. Bookmark the permalink.